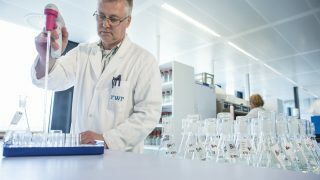 KWR is one of the test laboratories in the WHO International Scheme to Evaluate Household Water Treatment Technologies. By certifying the performance of water treatment systems, WHO aims to reduce infant mortality caused by diarrhoea in developing countries. 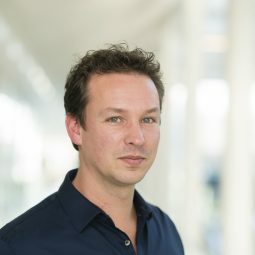 The latest report summarises the performances of ten Household Water Treatment (HWT) Technologies – including solar, chemical, filtration and UV – from the first test round, several of which were tested in KWR’s laboratories. 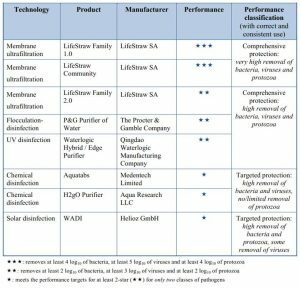 Eight technologies have received a ‘performance classification’ label (see table below), while two technologies did not satisfy the minimum criteria established by WHO for microbial removal. The second test round is currently underway.